Premiership League giants Arsenal FC will be supporting a new education project in China, as the club prepares for its pre-season tour of the Far East in July. The Arsenal Foundation will make a donation of £300,000 over the next three years, helping to dramatically improve the quality of education for disadvantaged children aged 6 to 15 in some of Beijing’s most under-resourced schools. Together, Save the Children and Arsenal will train 200 teachers and 20 head teachers so that they have the necessary skills to plan and deliver a high-quality education for students in China’s curriculum. The project will help reduce the chances of children dropping out of school and the risk of being excluded from future opportunities in later life – giving more children the chance to fulfil their potential and escape poverty. To celebrate the announcement, Arsenal Chief Executive Officer, Ivan Gazidis, visited one of our Early Childhood Care and Development Centre (ECCD) in Beijing on Wednesday as the Club prepares for its forthcoming tour. Gazidis met with some of the teachers, community members and children at the neighbouring primary school that are set to benefit from the project. Speaking about the initiative, Gazidis said: "We are incredibly excited to be launching this new project which carries on our tradition of giving back to our community. “Our partnership with Save the Children will help us reach even more young people globally and give them a chance to realise their potential – a philosophy we are committed to both on and off the pitch at Arsenal. 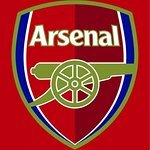 To engage Arsenal supporters in the project, the Club is gathering inspirational stories from players, staff and supporters about their own childhood which will be turned into a book which will be delivered by Arsenal players on a trip to a school during the pre-season tour on Thursday, July 26. Arsenal first-team players including Andre Santos, Robin van Persie, Emmanuel Frimpong, Gervinho and Tomas Rosicky have all shared personal experiences from their childhood which will be included in this special edition book. Justin Forsyth, Chief Executive of Save the Children, added: "Education has the power to transform lives and provide many children with a route out of poverty. For more information visit www.arsenal.com/savethechildren.